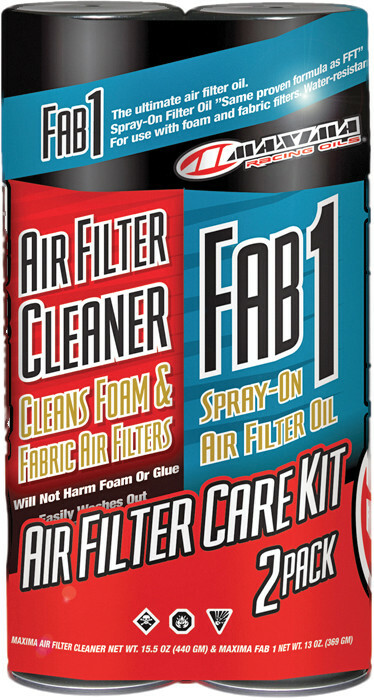 This Air Filter Care Kit is everything you need to keep your air filter maintained and in optimal working performance. It includes the cleaner and the oil. Maxima Air Filter Cleaner 17.1 oz. Aerosol: Professional strength, emulsion type cleaner specifically designed to remove grease, heavy filter oils and other contaminants from foam and fabric air filters. Unique and proprietary formulation contains no caustic chemicals, will not damage foam cells, paper or glue and easily washes out with water. Maxima Air Filter Cleaner is consistently ranked as best in class and contains no harmful CFCs. Tite Seal High Temp Silicone "Red"